Emily Blunt, Matt Lucas and Elton John on Gnomeo and Juliet! 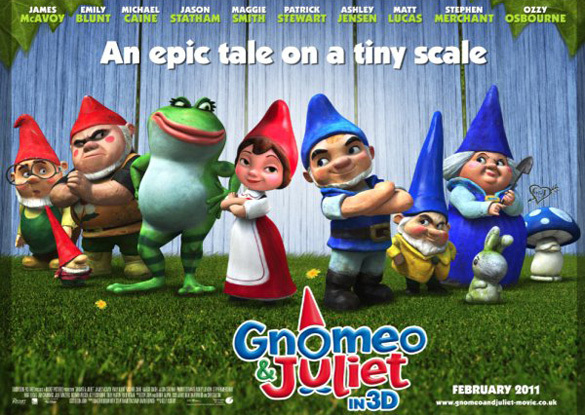 Gnomeo and Juliet is a rather unique version of Shakespeare’s classic play Romeo and Juliet, but set in the world of garden gnomes! So it seemed only right to send FILMCLUB reporter Jack Callaghan to the UK premiere to interview the cast and creative team behind the new film. Jack spoke to the likes of Emily Blunt, Matt Lucas and music legend Elton John ahead of the film’s release on 11th February. Now check out the interviews right here… and click here to read Jack’s review of Gnomeo and Juliet!